"I’m going to support Gina Haspel’s nomination to be Director of the CIA. I also respect my colleagues who have made a different decision," Warner said in a statement. 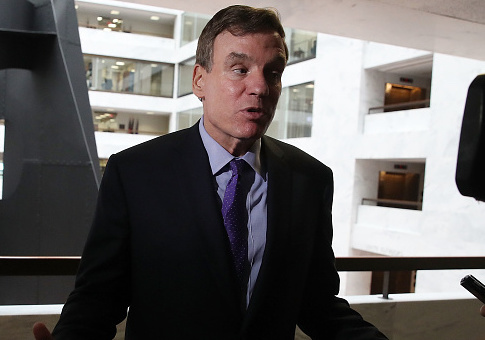 Warner, the vice chairman of the Senate Intelligence Committee, said in a statement he would support Haspel after she wrote a letter stating the CIA should never have used its enhanced interrogation program. Haspel, a career intelligence officer, came under pressure from Democratic lawmakers over her post-9/11 role overseeing a "black site" in Thailand, where waterboarding and other enhanced interrogation tactics were employed against suspected terrorists. "I acknowledge that this has been a difficult decision," Warner said. "There are valid questions that have been raised regarding the Acting Director’s record, and I have been frank with Ms. Haspel that I wish she had been more open with the American public during this process. However, in both our one-on-one meetings and in classified session before the Committee, I found Acting Director Haspel to be more forthcoming regarding her views on the interrogation program, which is why I asked her to memorialize those comments in writing." Heitkamp swiftly followed Warner's announcement with her own statement of support for Haspel, saying she had the CIA's respect and could put the agency's mission above partisan politics. "After meeting her and talking with former leaders in our intelligence community, I have concluded that Gina Haspel meets these standards. I am therefore planning to vote to confirm her as Director of CIA," she said. If confirmed, she will be the first female CIA Director in the agency's history. UPDATE: 5:00 P.M.: Florida Sen. Bill Nelson (D.) announced he will also support Haspel's nomination, making him the fifth Democrat to support her. Nelson, like Manchin, Donnelly and Heitkamp, is up for re-election in 2018 in states won by President Donald Trump. This entry was posted in Politics and tagged CIA, Gina Haspel, Heidi Heitkamp, Mark Warner. Bookmark the permalink.